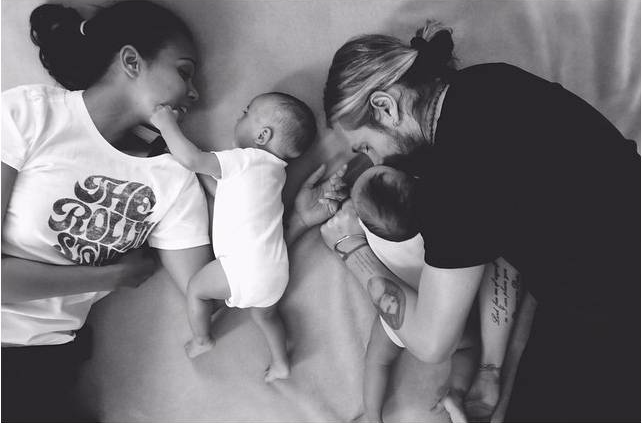 Zoe Saldana wore a Bravado x Lucky Brand tee in a heartwarming Instagram post on Father's Day. 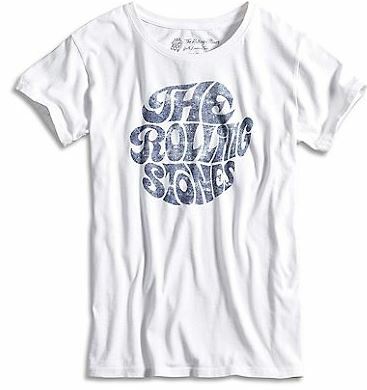 The Infinitely Polar Bear actress posted a photo cuddling with her family in The Rolling Stones Vintage Group Tee ($39.50, www.luckybrand.com). You may want to also view or limited edition Rolling Stones T-shirt blog post.